A free sewing project download by Pam Matthews featuring Artisan fabrics by Kaffe Fassett from Free Spirit Fabrics. A beautiful weekend project for an experienced beginner. 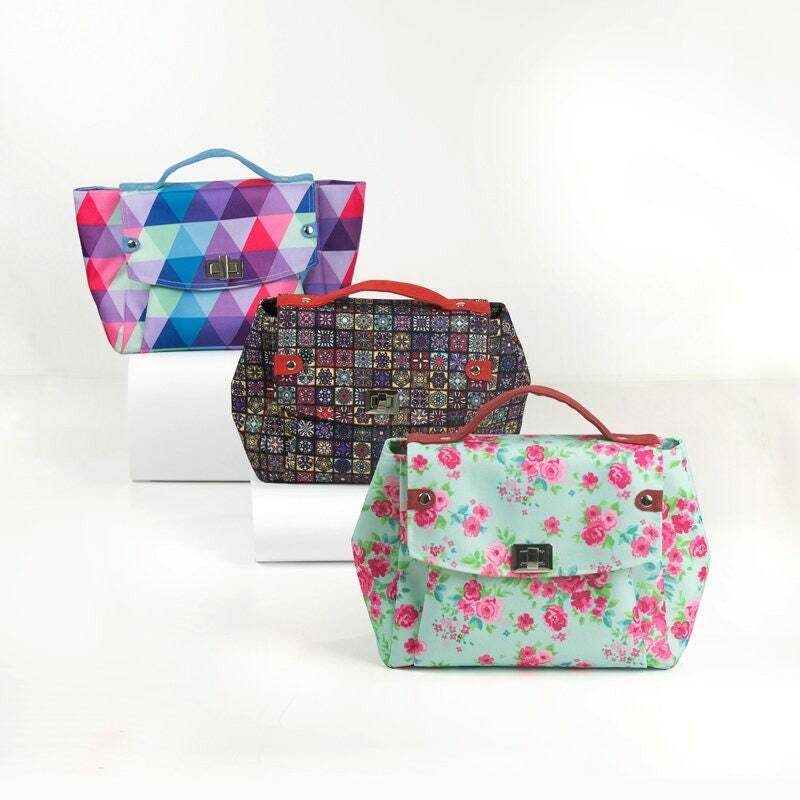 The Double Flower Tote is a roomy tote making it ideal for fabric shopping or a visit to the craft show . Simple construction and fresh colors make this tote a go-to project.